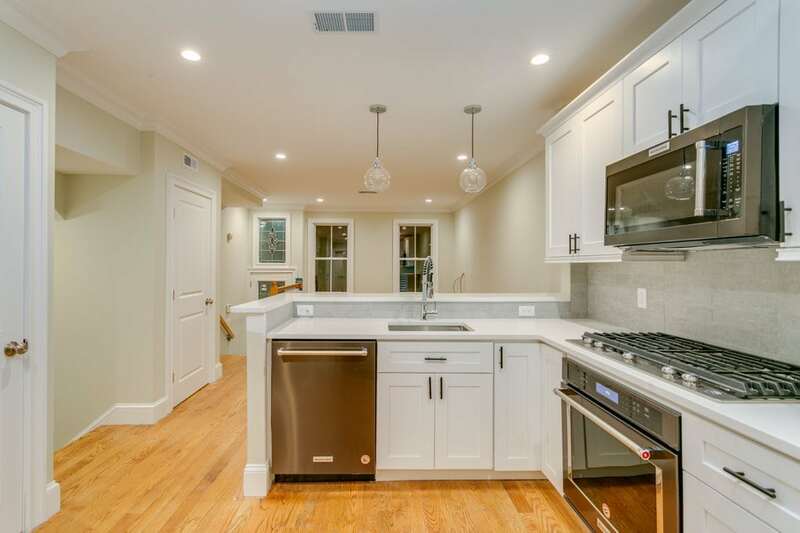 Striking New total renovation, custom-crafted by a premier developer! Private entrance Duplex 2 Bedroom, 2 Bath plus large Media room! Southwest sunshine and flawless floor plan! Open living room and dining room, custom gourmet kitchen with state-of-the-art black stainless steel top-of-the-line appliances and white on white counters with a breakfast bar and abundant custom white cabinetry! MBR en Suite with walk in closet! Sparkling Custom Spa baths are well appointed featuring Carrara marble vanity top, floors, and shower tiles! Gleaming walnut-stained oak floors are everywhere! Come see this superior home with a wonderful, entertainment-sized private easy access deck with natural gas & water! Every amenity you desire and more! Central air, in-unit laundry with steam washer! Over 1100SF! A True Value for a brand new magazine quality 2+bedroom home!